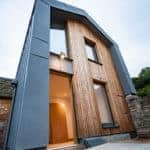 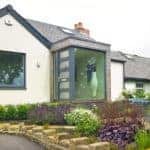 Refurbishment of a 19th century Yorkshire cottage using PERFORMANCE triple glazed timber windows and doors, including some mock sliding sash windows. 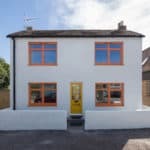 Vibrant bright orange triple glazed timber windows chosen for contemporary energy efficient refurbishment. 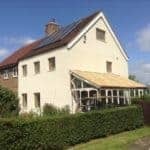 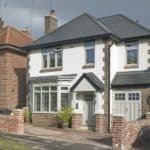 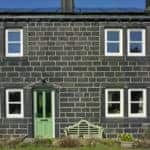 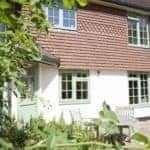 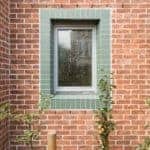 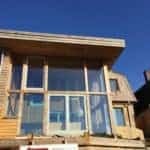 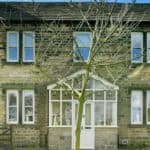 Case study of replacement of windows in an 1870s Yorkshire farmhouse with triple glazed timber sliding sash and casement windows from Green Building Store.